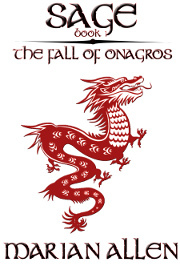 I'm pleased to announce that my fantasy trilogy, SAGE, is under contract with Hydra Publications. The editing is done and the first book is out in electronic formats, with print to follow. Usurper. Lost Heir. Runaway bride. Land on the brink of civil war. All so familiar, until Tortoise -- the Divine Creature who ignores the rules of right and wrong -- challenges his fellow divinities to meddle. Suddenly, children targeted for murder are adopted, swordsmen turn into blacksmiths, and none are reliably who or what they seem. The four Divine Animals are afoot: Tortoise, Dragon, Unicorn, and Phoenix. Hold on tight. Available at the Amazon Kindle store and for multiple electronic formats at Smashwords. Publishing these days truly is a see-saw world. Two of my recent blogs addressed the poor e-book sales from Barnes & Noble, and another discussed an article which claimed that dedicated e-readers could become obsolete. Additionally, a number of sources have been saying that the e-book revolution is slowing down, and that about 75% of all books sold are still sold in print. All of those articles and sources make good points, but here’s the other side of the coin. A few years ago, I remember an agent telling us wannabe authors that self-publishing was the kiss of death. Nevertheless, I self-published Taxed to Death in 1995, a decision I don’t regret to this day as I sold nearly 950 print copies (it still sells), gained some great reviews, and learned the business of promoting and selling. It’s been both amusing and irritating to read recent blogs by authors who are still being told the same thing by agents. I can understand it from their point of view. After all, an agent’s bread-and-butter is to acquire six-figure contracts on behalf of authors, for which they’ll receive a 15% commission (on average) and hope the large publisher and author do an adequate job of promoting the book. However, times have changed folks. Publishers are looking to the indie authors’ sales rankings on Amazon to decide which new author to invest in these days. Prolific author Dean Wesley Smith posted an interesting blog that adds further information to the growing transition from self-publishing to traditional publishing. He writes that according to a piece in Publishers Marketplace, approximately 300 six-figure deals were made in 2012, in all categories of fiction and nonfiction. Of these 300, forty-five were from self-publishers. Smith ends the blog by saying he doesn’t know why an author wouldn’t start by self-publishing first. There are better royalties, more control, quick information on sales, and no time wasted on waiting to hear from agents and publishers. Last week I posted a list of top crime fiction for 2012 from January Magazine. The magazine has now produced a part II to their top crime list. They’ve also completed their best children’s books, cookbooks, fiction, and nonfiction lists, among others, so take a look at them at http://januarymagazine.blogspot.ca for the latest. A couple of articles this week commented about Barnes & Nobles’ release of sales figures for the Christmas season and clearly, the numbers were disappointing. Both in-store and online sales were down about 8.2%. The sales of Nook readers were down by 12.6%, while digital content sales were up by only 13.1%. While that might not seem too bad, the article also reports that Nook business last year was up by 43%. The thing is, a lot of Nook readers have sold over the last couple of years, and if you bought one how often do you need to replace it? Not everyone has to have the latest model of e-readers. Has earlier success caught up with B & N, causing a slowdown, or is something else going on? An article from The Shatzkin Files says there was lower bookstore traffic this season, while the sale of independent books was apparently strong over the holiday season. Indie authors made solid efforts to sell books in print form this year. Also, they aren’t investing money in brick-and-mortar stores, nor spending big bucks to create their own dedicated e-readers like B&N, so profit margins are better.